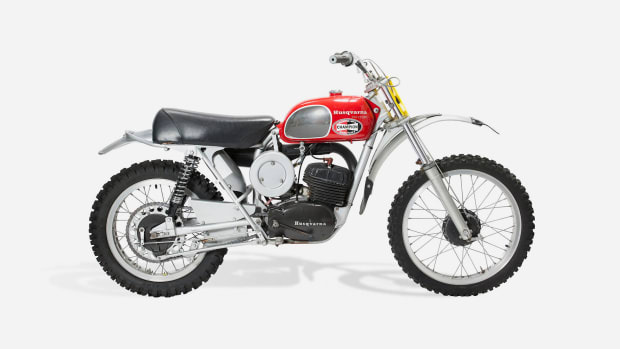 Collectors of classic motorcycles salivate each spring over London auction house Bonhams' Stafford Sale, where gorgeous examples of the finest two-wheeled machines ever built cross the auction block and find new garages to glorify. 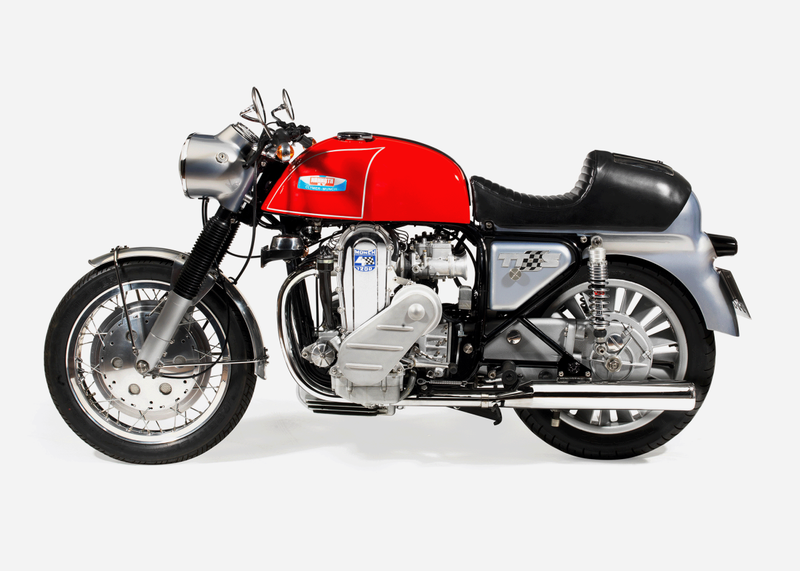 This Italian stunner is one of the most desirable post-war motorcycles ever built. 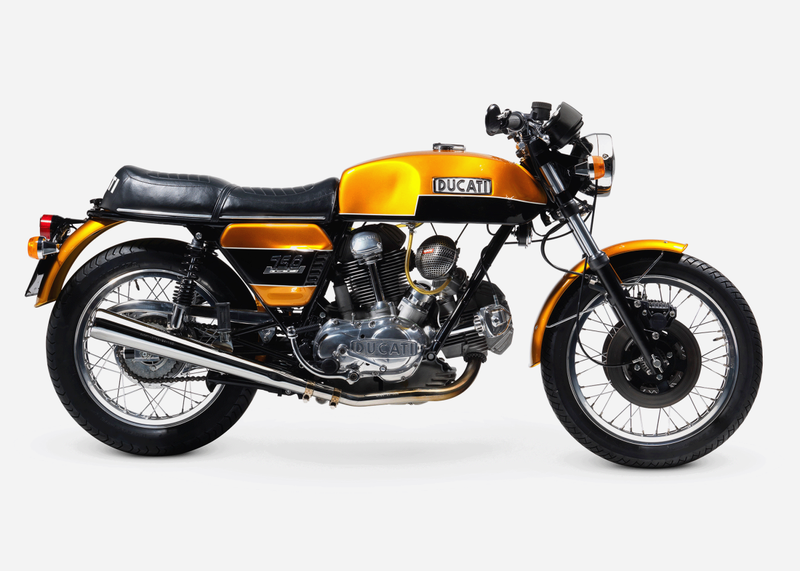 Hand made in limited numbers and priced accordingly, the 750S was way beyond the financial reach of the average enthusiast at the time. 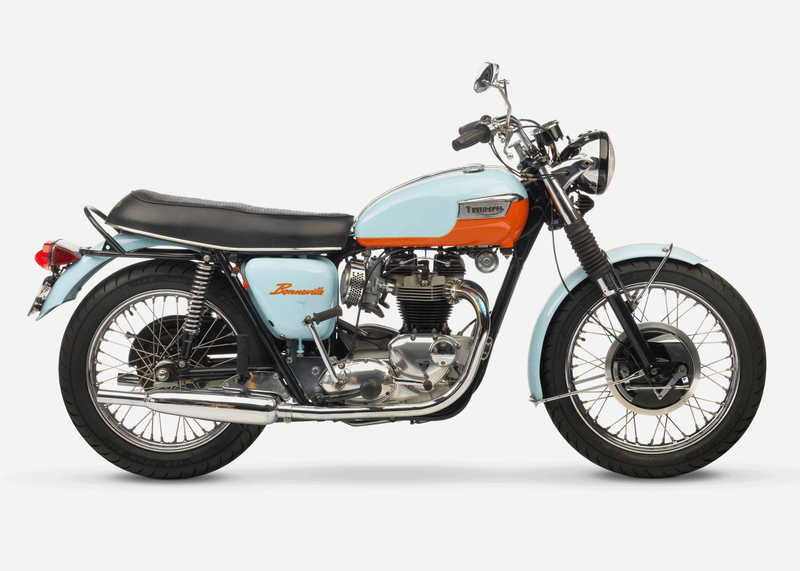 The steal of the sale, this classic Bonneville, one of the most iconic motorbikes ever built and still in service today, stands out in livery resembling the famous Gulf racing colors. 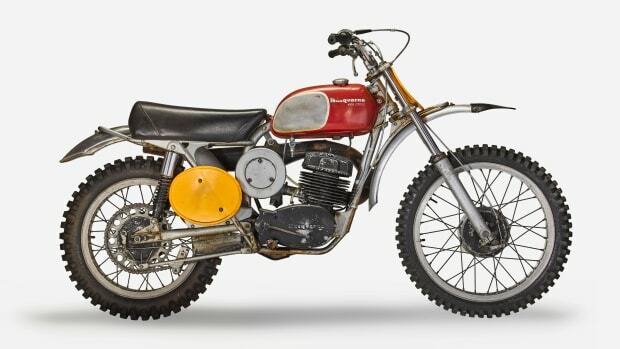 The brief for this beauty's German creator Freidl Münch was to build a limited edition, no-expense-spared "superbike," though the term had yet to be invented. 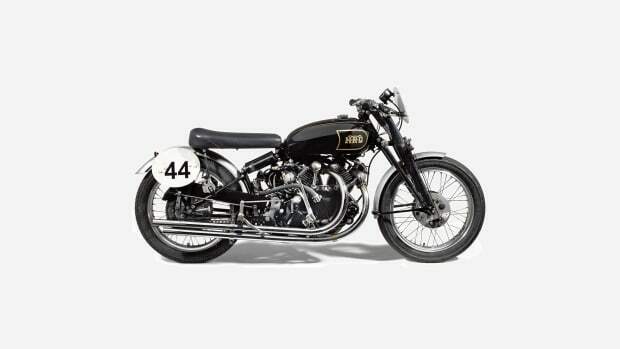 With a top speed of 120 mph and the ability to cruise all day at 110, it more than delivered the goods. 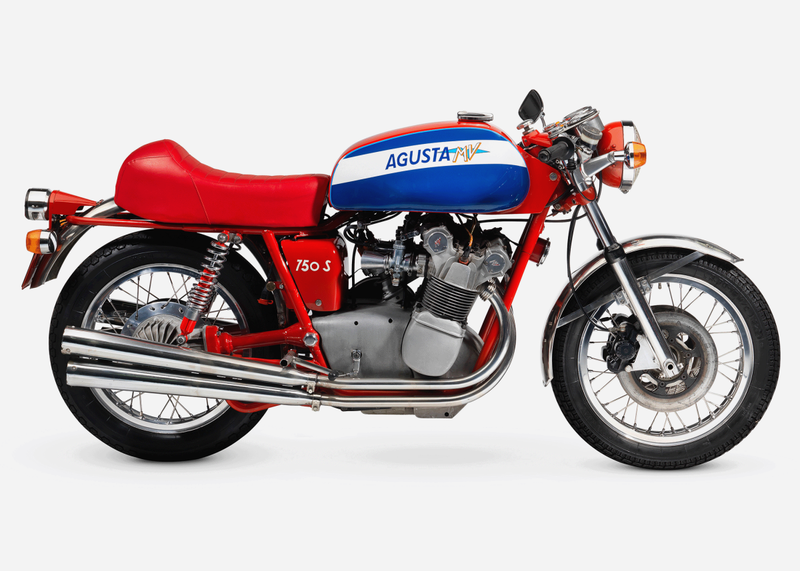 Designed by the legendary Fabio Taglioni, Ducati's first road-going v-twin faced fierce competition from more powerful Japanese bikes but became one of the all-time great post-war motorcycles. 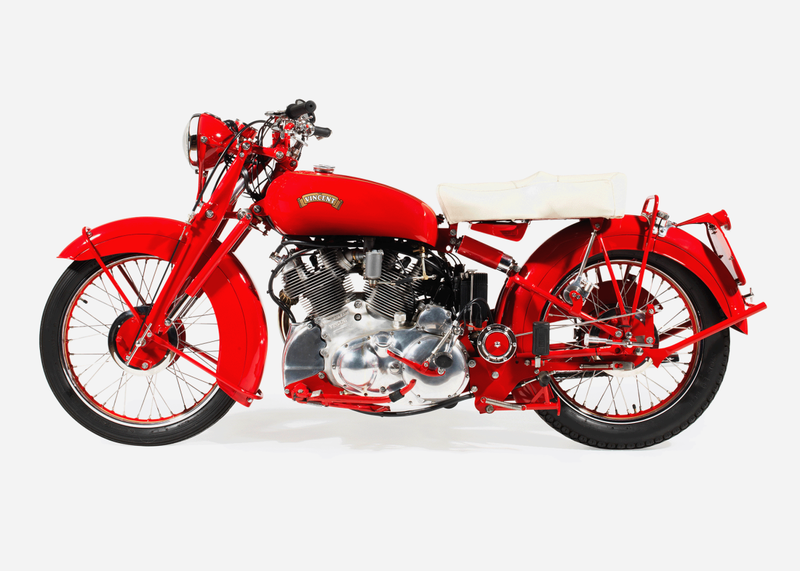 The fastest production motorcycle in the world when introduced in 1946, this British thoroughbred is one of only a small number ever to leave the factory in this bold shade of "Chinese Red."